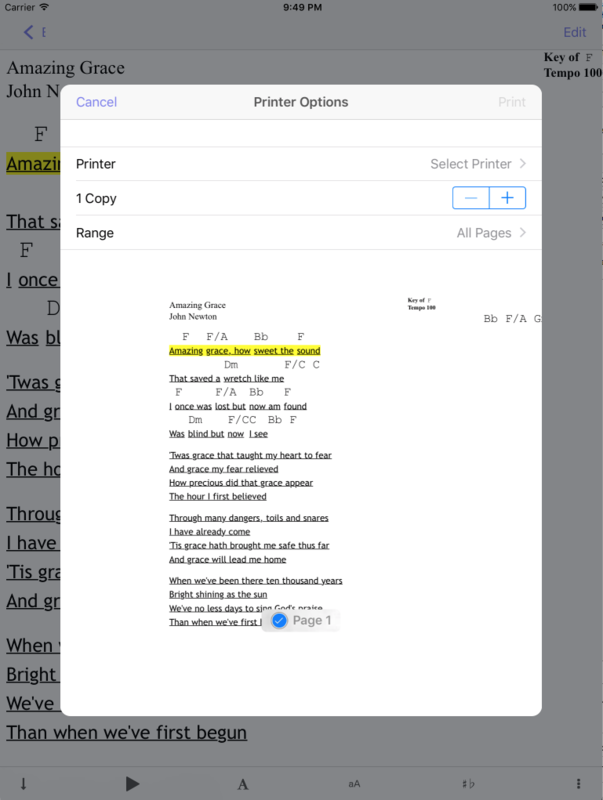 To print the lyrics that you are currently viewing tap the far right button with 3 vertical dots shown below. 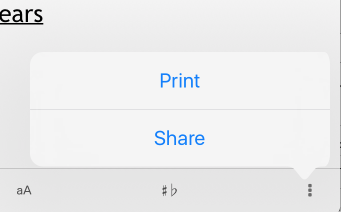 Then tap “Print”. When you tap print you will see the screen below. This is a screen provided by the iOS operating system. If you have trouble connecting to a printer you will need to contact Apple support.